Home » Latest News » Calling all members of the NFU do you have CCTV Farm Security installed? Calling all members of the NFU do you have CCTV Farm Security installed? Rural crime is on the increase and unfortunately rural theft can occur under various circumstances and often to those who don’t have CCTV farm security. Stolen livestock can be quickly sold on for cash through regional markets and for the production of meat, whilst the theft of high profile farming equipment can be worth thousands of pounds. 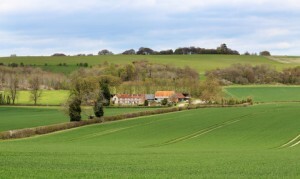 Unfortunately, intruders prey on rural businesses where historically premises may have felt much safer in the past in contrast to urban areas and so less likely to be a target – however sadly this is becoming less of the case. Members of the NFU (National Farmers Union), across the UK are being urged to install CCTV Farm Security monitoring equipment, to protect their farms, secure equestrian premises and remote locations. By ensuring that their land and outbuildings are monitored 24/7, they have peace of mind that they can deter unwanted intruders by sending a clear message that the property is ‘under surveillance’. In order to meet this requirement, SGS Systems Ltd are delighted to announce that we are established CCTV partners to the NFU and by operating as certified security installation representatives to the NFU West midlands region, covering: Herefordshire, Staffordshire, Worcestershire, Shropshire and Warwickshire, our company is accredited to install, service and maintain Farm CCTV security and Stable CCTV security in addition to our existing portfolio of property security options. To find out more please contact us for property security at sgssytems.com. You may also like to read further information on our Stable CCTV Security website page.